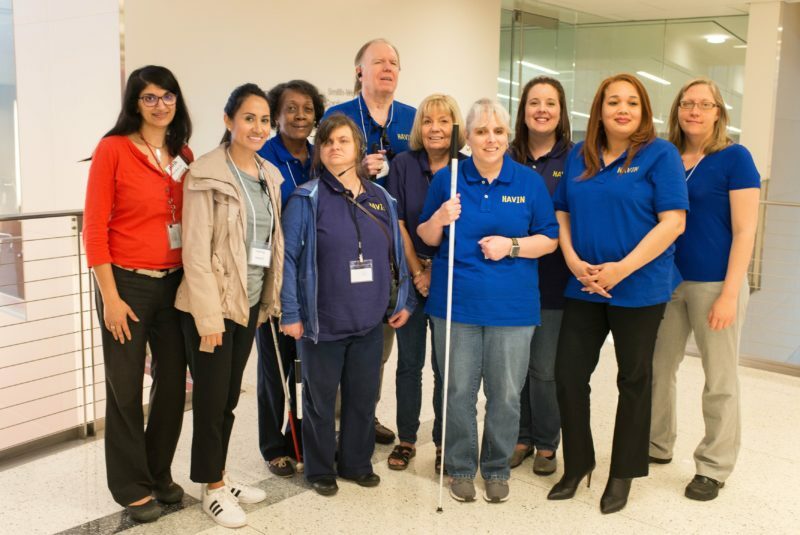 UHCO’s – University Eye Institute’s Center for Sight Enhancement (CSE) and the Houston Area Visually Impaired Network (HAVIN) hosted the seventh-annual vision expo on Saturday, April 14. 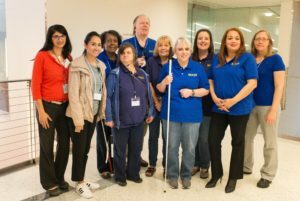 The 2018 Insight Expo offered exhibits, programming and workshops on maintaining independence for Houston’s visually impaired and blind community. This year’s theme was “Preparing for the Seasons,” a broadly applied concept for adjusting to life with vision loss and issues associated with the seasons. The event was open to the public and held in the Health and Biomedical Sciences Building, 4901 Calhoun Rd. The keynote speaker was George Battiste, a vocational rehabilitation teacher for more than ten years with the state of Texas. He has served more than 12,000 visually impaired or blind Texans, teaching alternative techniques that aid them in their daily life, either at home or at their place of employment. Using the latest technology, training and techniques, the CSE helps visually impaired patients achieve independence and improved quality of life through vision rehabilitation. HAVIN is comprised of various volunteer support groups from across Houston. Its vision is to educate, provide peer support and unify the visually impaired community in the Greater Houston area. For any questions, contact Stacie Hardy at (832) 779-7477 or via email at havin.tx@gmail.com.